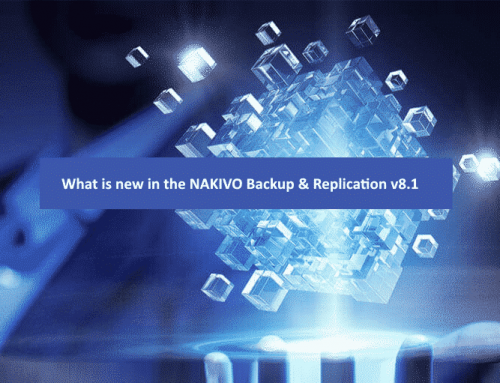 NAKIVO Backup & Replication has just launched a new beta version of their main product, NAKIVO Backup & Replication v8.5 Beta. In this new Beta version NAKIVO on the main announcements for the new features, is Nutanix AHV and Windows Server 2019 support. 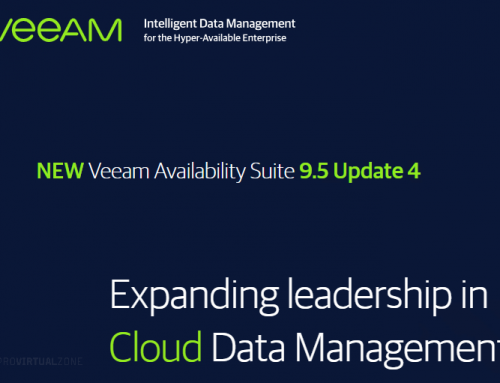 Adding these new features and new Hypervisor support into their portfolio, NAKIVO Backup & Replication can now protect Hypervisors like VMware, Hyper-V and now Nutanix AHV VMs. But also AWS EC2 instances. Nutanix AHV Virtual Appliance (NEW). NAS application package (QNAP, Synology, ASUSTOR, Western Digital, NETGEAR, and ARM-based NAS). Ransomware-Proof Mini Backup Appliance Based on Raspberry Pi. Software-Defined Backup Appliance Based on FreeNAS. Nutanix was one of the last Hypervisor arrived at the market, but one of the first focusing in Hyperconverged Infrastructure solutions and now NAKIVO as join the restricted group of tools that can fully support Nutanix AHV. With this new feature Nutanix AHV users can now perform incremental and application-aware backup of either full Nutanix VMs or of separate disks using agentless, and incremental VM backup. Using Network Acceleration and LAN-free data transfer to ensure high performance of Nutanix backups. NAKIVO Backup & Replication v8.5 Beta also uses the deduplication compressions options in Nutanix backup to save storage save. In this feature, NAKIVO Backup & Replication v8.5 Beta have added an excellent backup solution with a Raspberry Pi. 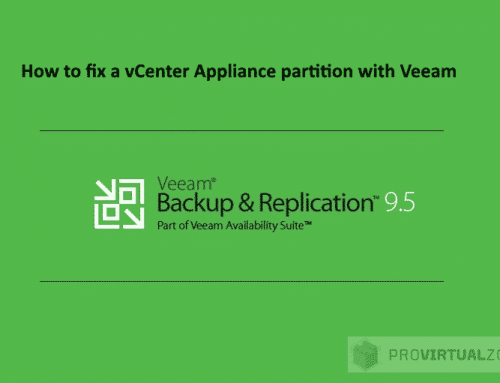 This unique backup “appliance” can provide a fully Backup & Replication solution to your environment. With this new feature, NAKIVO gives its customers the option to create a portable and very affordable, ransomware-proof backup solution. This is an excellent idea from NAKIVO building a NAKIVO Backup & Replication v8.5 backup appliance solution in a Raspberry Pi. This new replication feature from NAKIVO allows users to replicate their backup VMs directly from the backup VMs. Meaning that any replication tasks are done inside the NAKIVO Backup & Replication tool and will not use resources from your hosts and virtualization environment. By using this new feature users offload production environment and cut the snapshot overhead. Replication will have better performance (always depending on your Backup System) and reduce replication time slot. Note: Replication feature is only available for VMware and Hyper-V environments. 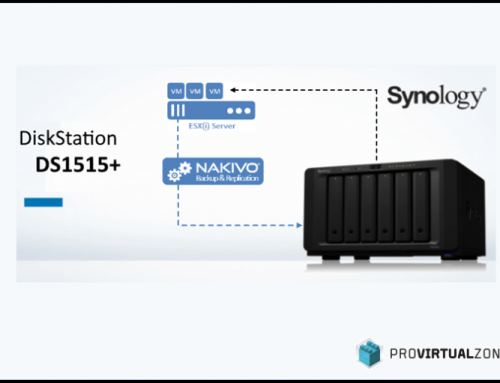 This new option is similar to the existing in previous versions NAKIVO Backup & Replication for NAS Systems, but now is available for FreeNAS. Is now possible to build a server/desktop into a FreeNAS and use as your Backup System including used as Backup Repository. Turn any hardware into a NAS-based backup appliance and have it take care of your data protection needs. Companies now can purchase the most affordable hardware or even reuse some old hardware and build a FreeNAS and use as NAKIVO Backup & Replication environment. Adding support to latest Windows Server versions, NAKIVO Backup & Replication v8.5 Beta can now be installed on Microsoft Windows Server 2019. If you decide to upgrade your environment, you can be sure that NAKIVO Backup & Replication is fully compatible and ready to protect your critical business data. Also included in this new Windows Server 2019 support is the support for Windows Hyper-V Server 2019. Users can back up their 2019 Hyper-V environment with this new beta version. With this new feature is now possible to update your NAKIVO Backup & Replication software without the need to install a new fresh install or download new patches/versions from NAKIVO site. With just a few clicks this automatic update will download the latest NAKIVO Backup & Replication version and update your NAKIVO environment automatically. Final toughs about this new NAKIVO Backup & Replication beta version. In NAKIVO Backup & Replication beta v8.5 as launched an excellent version with many features and supporting new systems and hardware. The decision to support Nutanix AHV was the right decision since Nutanix is still a system that doesn’t have many backup tools supporting their operations at an affordable price and NAKIVO will provide that to Nutanix customers. Other great features included in this new beta version, I highlight the new Replication that will offload production environments and remove the snapshots task from the replication process. Adding support for Windows 2019 systems and providing giving the possibility to build a server/desktop with FreeNAS and use as our NAKIVO backup tool is also a feature that deserves to be mention in this new version. Last but not least, the idea and the possibility to support and create a Raspberry Pi as a NAKIVO Backup appliance box is excellent. So in this new version NAKIVO Backup & Replication tool as increasing their support for different systems, hypervisors and also new hardware give to NAKIVO an advantage in the Virtual Backup software market. As a bonus, NAKIVO is also giving an Amazon eGift Card if you test this new Beta version. So Test and Win! Note: Share this article, if you think it is worth sharing.